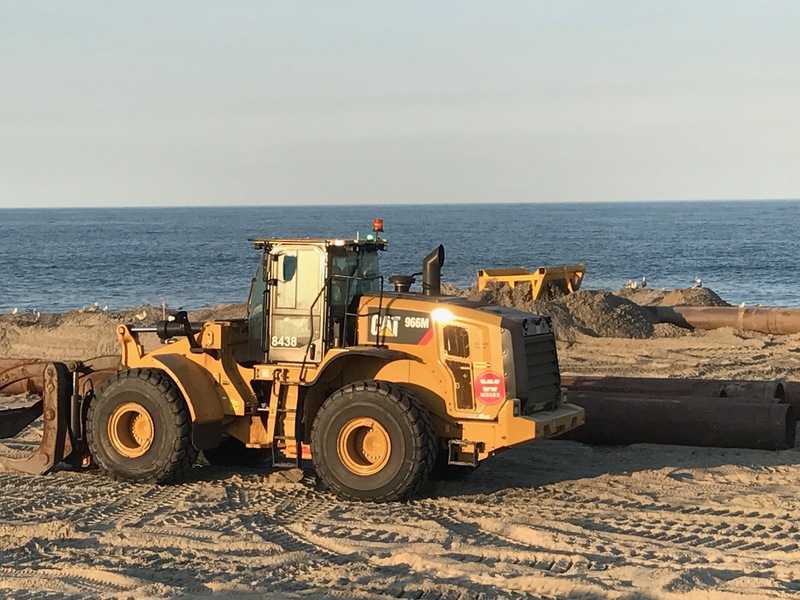 Crews will be on hand to start beach replenishment and dune-building operations in Seaside Heights just two days after Labor Day, officials confirmed this week. The preliminary work involves building timber bulkhead retaining walls that will connect the boardwalk promenade with each dune crossover. Agate will first construct the bulkheads north of Casino Pier, and is authorized to move to South Beach on or after Sept. 11th (after Wine On The Beach). The existing beach ramps will be removed as the construction date for the beach fill project gets closer, now estimated to begin on Nov. 30. The existing 13 beach ramps located at street ends will be eliminated under the plan. The contractor will construct 10 new pedestrian entrance points (which will be known as crossovers) connecting the boardwalk and beach. Five crossovers will be located at North Beach and five crossovers will be located at South Beach. Nine of the crossovers will be handicap accessible. Seven of the 10 new crossovers will be relocated from street ends to mid-block. Lincoln Ave crossover will be located south (toward Dupont Ave) approximately 50-feet. Hiering Avenue will have one pedestrian crossover and one vehicle drive-over. Grant Avenue will have one vehicle drive-over and Hamilton Avenue will have one pedestrian crossover located approximately where the existing beach ramp is located. Franklin Avenue will have one vehicle drive-over that will provide secondary vehicular access, but will be used as a non-handicap accessible pedestrian access point during the beach operating season.